Draft: 2007, Boston Red Sox, 18th rd. the AZL Giants (1 G), High-A San Jose (1 G) and Triple-A Sacramento (4 G). 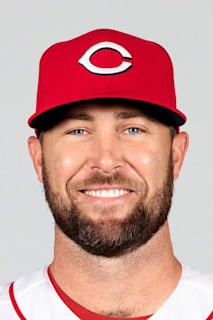 PERSONAL: Hunter Drew Strickland…resides in Griffin, GA, with wife, Shelley, and daughter, Kinsey Rae…graduated from Pike County (GA) High School in 2007…father, Ken, pitched in the minor leagues with Detroit. The Totals - Went 3-5 with 14 saves and a 3.97 ERA (20 ER, 45.1 IP) with 37 strikeouts and 21 walks in 49 games with San Francisco...Tough on Lefties - Limited opposing left-handed batters to a .186 (16x86) average against and struck out 21 of 98 lefties faced…overall, held opposing batters to a .247 (43x174) average against...On the Mend - On the 10-day disabled list, June 19-Aug. 18 (transferred to the 60-day DL on July 7), with a fractured right hand…combined for 6 appearances on rehab assignments with the AZL Giants (1 G), High-A San Jose (1 G) and Triple-A Sacramento (4 G). Posted a 4-3 record with a 2.64 ERA (18er, 61.1ip) in 68 games for the Giants...Made his second-straight Opening Day roster...Struck out 58 batters in 61.1 innings of work (8.51 strikeouts per 9.0 innings)...Opponents hit just .195 (8x41) off him when he was behind in the count (league avg. .342)...Led the team with 21 holds, which was tied for ninth-most in the National League...Served a six game suspension (June 19-24) for throwing at and fighting Washington's Bryce Harper May 29. Went 3-3 with a 3.10 ERA (21er, 61.0ip) and three saves in 72 games for the Giants. His 72 appearances were a career-high and were the most of any SF reliever in 2016...were also tied for the 15th-most in the National League. Also threw a career-high 61.0 innings. Was just 3-for-8 in save chances this season, as his five blown saves were tied for the 10th-most in the National League. Held right-handers to a .197 (30-for-152) clip with just six extra base hits. Was unscored upon in eight of his last nine games, despite posting a 4.91 ERA (4er, 7.1ip) in that stretch. Began the season with triple-A Sacramento (1-1, five saves, 1.66 ERA in 15 games), but was called up in May and spent the rest of the season with the Giants, going 3-3 with a 2.45 ERA, 20 holds and a .190 average against in 55 games....Was recalled from triple-A May 23, serving as the Giants 26th man for their day-night doubleheader at Colorado...was optioned following the game, however was recalled the next day (May 24) as the club designated IF Casey McGehee for assignment (the Giants were short in the bullpen and opted to carry 13 pitchers)....Stranded 27 of 31 inherited runners (4/31, 12.9%), the best such figure among all Major League relief pitchers....Left-handed batters hit just .185 (12-for-65) off him with four extra base hits (three 2Bs, HR). Was recalled from Double-A Richmond on Sept. 1, marking his first big league call-up...Made nine relief appearances for the Giants, tossing 7.0-scoreless innings with nine strikeouts while going 1-0 with one save...Was in big league camp during Spring recovering from Tommy John surgery and missed the first month and a half of the season...Appeared in three games for Class A Advanced San Jose, allowing one run in 3.0 innings of work...2014 marked the first time in his career he was on a postseason roster...Was promoted to double-A Richmond on May 29 from Class A Advanced San Jose...Spent most of the season with double-A Richmond, going 1-1 with a 2.02 ERA (8er, 35.2ip) and 11 saves in 38 relief outings...Converted all 11 of his save opportunities with the Flying Squirrels...Fanned 48 batters while allowing just four walks (12.0 K/ BB) with the Flying Squirrels. Was converted to a full-time relief role and in the midst of his best minor league season suffered an elbow injury in late-May, which required season ending Tommy John surgery. Was named to the CAL Mid-Season All-Star team after posting a 0.86 ERA (2er, 21.0ip) with nine saves in 20 relief appearances. Was a perfect 9-for-9 in save opportunities. Held right-handed batters to a .109 (5-for-46) average against. Limited the opposition to a .145 (10-for-69) batting average with just one extra-base hit. Prior to getting hurt, had not allowed a run in his last 12 games (13.0ip). Struck out 23 batters, while allowing just five walks. Went 4-4 with two saves and a 3.70 ERA (87.2ip/36er) in 33 total games (nine starts) between High-A Bradenton and Double-A Altoona...Began season with Bradenton and went 2-0 with a 1.64 ERA (11.0ip/2er) in his first two starts...Tossed 6.0 shutout innings and struck out a season-high six batters on 4/15 vs. Palm Beach...Made his final appearance with the Marauders in relief on 6/10 vs. Jupiter (4.0ip/2er)...Was promoted to Altoona on 6/15 and was used exclusively in relief with the Curve...Pitched a scoreless inning in his debut with Altoona on 6/15 at Binghamton and did not allow a run in his first three games (4.0ip) thru 6/21...Surrendered a total of eight runs in his next two outings (2.0ip)...Tossed 2.0 scoreless frames and earned first Double-A save on 7/2 at Binghamton...Picked up a win in his next appearance on 7/5 vs. Reading...Posted a 2.40 ERA (15.0ip/4er) in his eight games during the month of July...Was scored upon in six straight games between 7/31 and 8/18 (12.0ip/8er)...Tossed 3.0 scoreless innings on 8/21 at Trenton - his first scoreless outing since 7/28...Picked up second save on 8/26 vs. Richmond...Was scored upon just once in his last four appearances (10.1ip/2er)...Posted a 2.97 ERA in his final 14 games after recording an 8.25 ERA in his first nine games with Altoona. Missed the entire season due to shoulder problems and ended up having rotator cuff surgery in Aug. Appeared in 12 games (10 starts) between single-A West Virginia and single-A Bradenton before going on the DL for the rest of the season with an elbow strain. April 2, 2019 Seattle Mariners transferred RHP Hunter Strickland from the 10-day injured list to the 60-day injured list. Right lat strain. March 30, 2019 Seattle Mariners placed RHP Hunter Strickland on the 10-day injured list. Right lat strain. January 27, 2019 Seattle Mariners signed RHP Hunter Strickland. November 30, 2018 RHP Hunter Strickland elected free agency. August 18, 2018 San Francisco Giants activated RHP Hunter Strickland from the 60-day disabled list. August 9, 2018 San Francisco Giants sent RHP Hunter Strickland on a rehab assignment to Sacramento River Cats. August 6, 2018 San Francisco Giants sent RHP Hunter Strickland on a rehab assignment to San Jose Giants. August 4, 2018 San Francisco Giants sent RHP Hunter Strickland on a rehab assignment to AZL Giants Black. July 7, 2018 San Francisco Giants transferred RHP Hunter Strickland from the 10-day disabled list to the 60-day disabled list. Broken right hand. June 19, 2018 San Francisco Giants placed RHP Hunter Strickland on the 10-day disabled list. Broken right hand. June 19, 2018 San Francisco Giants placed RHP Hunter Strickland on the 10-day disabled list. Right hand fracture. June 25, 2017 San Francisco Giants activated RHP Hunter Strickland. June 19, 2017 RHP Hunter Strickland roster status changed by San Francisco Giants. April 10, 2017 San Francisco Giants activated RHP Hunter Strickland. April 7, 2017 San Francisco Giants placed RHP Hunter Strickland on the paternity list. May 23, 2015 San Francisco Giants recalled RHP Hunter Strickland from Sacramento River Cats. March 29, 2015 San Francisco Giants optioned RHP Hunter Strickland to Sacramento River Cats. September 1, 2014 San Francisco Giants recalled Hunter Strickland from Richmond Flying Squirrels. May 27, 2014 RHP Hunter Strickland assigned to Richmond Flying Squirrels from San Jose Giants. May 22, 2014 RHP Hunter Strickland assigned to Richmond Flying Squirrels. May 20, 2014 San Jose Giants activated RHP Hunter Strickland from the 7-day disabled list. April 3, 2014 San Jose Giants placed RHP Hunter Strickland on the 7-day disabled list. March 12, 2014 San Francisco Giants optioned RHP Hunter Strickland to San Jose Giants. November 20, 2013 San Francisco Giants selected the contract of Hunter Strickland from Fresno Grizzlies. September 18, 2013 Hunter Strickland roster status changed by Fresno Grizzlies. August 8, 2013 RHP Hunter Strickland assigned to Fresno Grizzlies. July 29, 2013 San Francisco Giants signed free agent RHP Hunter Strickland to a minor league contract. July 24, 2013 San Francisco Giants released RHP Hunter Strickland. July 23, 2013 San Francisco Giants designated RHP Hunter Strickland for assignment. May 27, 2013 San Jose Giants placed RHP Hunter Strickland on the 7-day disabled list retroactive to May 24, 2013. April 2, 2013 San Francisco Giants claimed RHP Hunter Strickland off waivers from Pittsburgh Pirates. April 2, 2013 San Francisco Giants optioned RHP Hunter Strickland to San Jose Giants. March 27, 2013 Pittsburgh Pirates designated Hunter Strickland for assignment. March 13, 2013 Pittsburgh Pirates optioned Hunter Strickland to Indianapolis Indians. November 20, 2012 Pittsburgh Pirates selected the contract of Hunter Strickland from Altoona Curve. June 15, 2012 Hunter Strickland assigned to Altoona Curve from Bradenton Marauders. September 14, 2011 Hunter Strickland roster status changed by Bradenton Marauders. April 7, 2011 Bradenton Marauders placed RHP Hunter Strickland on the 7-day disabled list. September 19, 2010 Bradenton Marauders activated RHP Hunter Strickland from the 7-day disabled list. May 17, 2010 RHP Hunter Strickland assigned to Bradenton Marauders from West Virginia Power. July 27, 2009 Hunter Strickland roster status changed by West Virginia Power. July 22, 2009 Greenville Drive traded Hunter Strickland to West Virginia Power. July 22, 2009 Boston Red Sox Traded SS Argenis Diaz to Pittsburgh Pirates; Pittsburgh Pirates Traded 1B Adam LaRoche to Boston Red Sox and Greenville Drive Traded RHP Hunter Strickland to West Virginia Power. June 14, 2009 Hunter Strickland assigned to Greenville Drive from Lowell Spinners. June 10, 2009 Hunter Strickland assigned to Lowell Spinners from Greenville Drive.